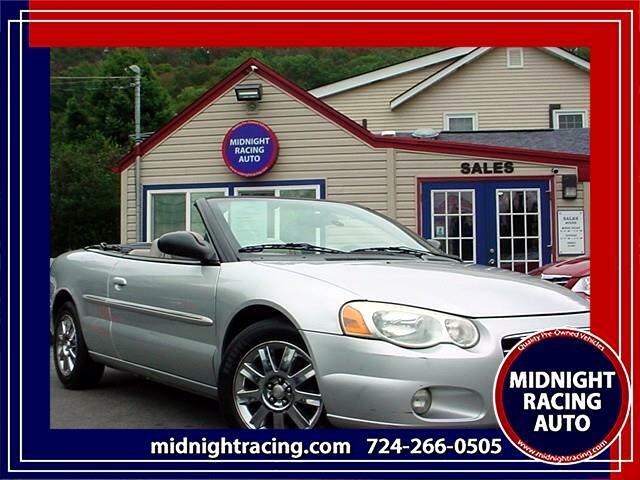 2004 Chrysler Sebring Convertible Limited- Clean CARFAX! -Leather Seats- Power Windows & Locks- Tilt Wheel- Cruise Control. This is a great car to put the top down and enjoy the nice sunny day. You are welcome to bring your neighbor, friend or an actual mechanic to do a pre-sale inspection before you purchase. Call if interested! Guaranteed Credit Approval. We Finance Everyone. Regardless Of Credit. Guaranteed Credit Approval. We Finance Everyone. Regardless Of Credit.